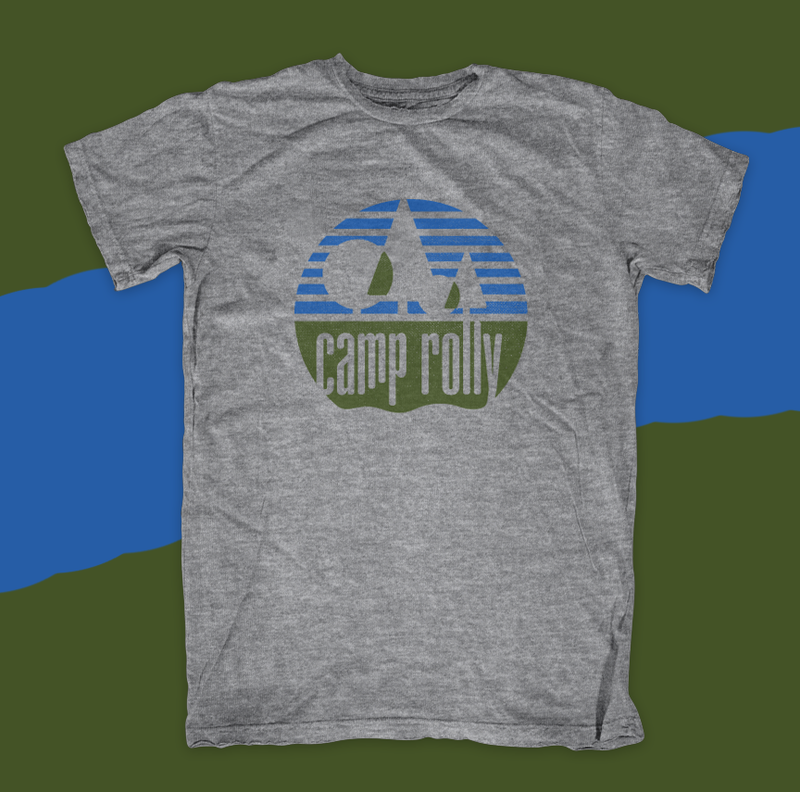 The town of Rollinsford was looking to revamp their Summer Rec program, so I created the Camp Rolly concept for them. 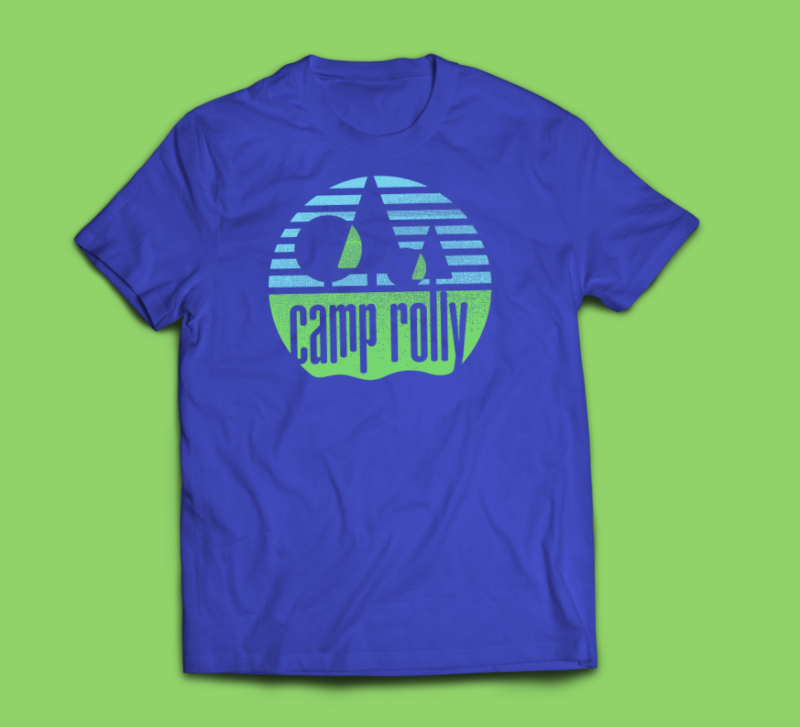 (Short for Rollywood, Rolly is an affectionate nickname for the town.) 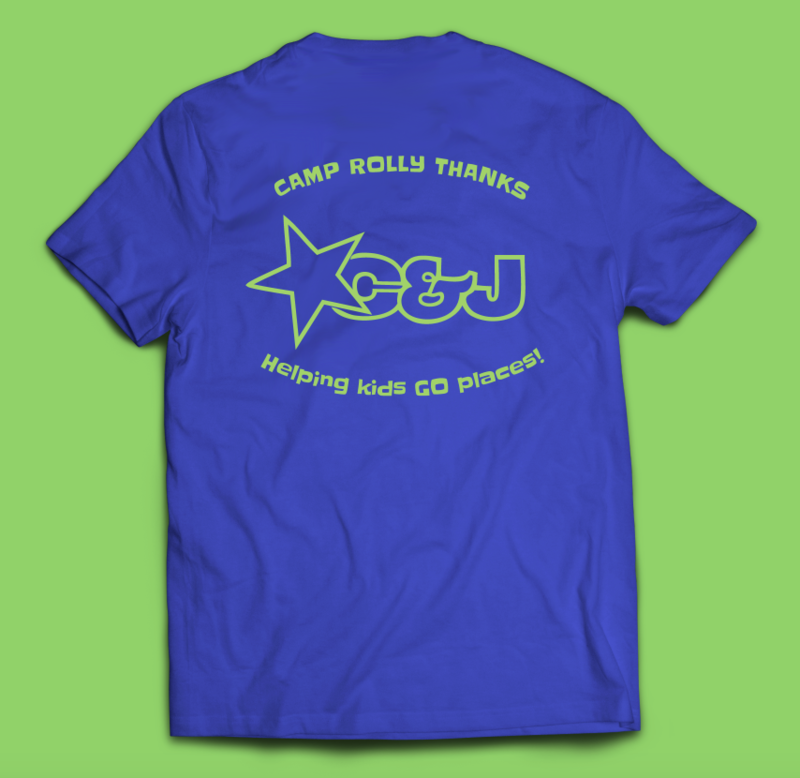 I designed high-visibility shirts for the campers and staff as well as a more muted, vintage-inspired Rolly Army shirt for community members to buy and support the program. 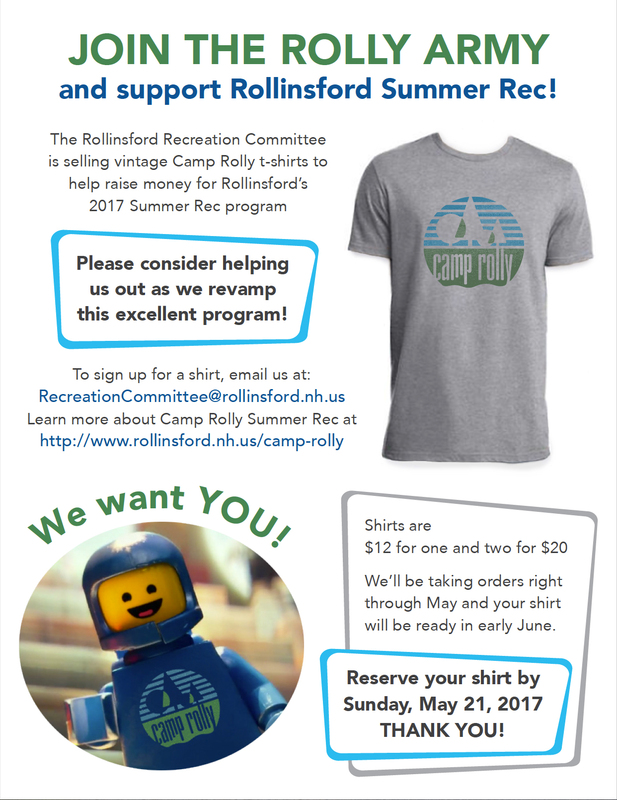 I also created posters, online graphics, sponsor packages, and thank you cards for the program, as well as designing and coding the Camp Rolly Summer Rec page on the town website. 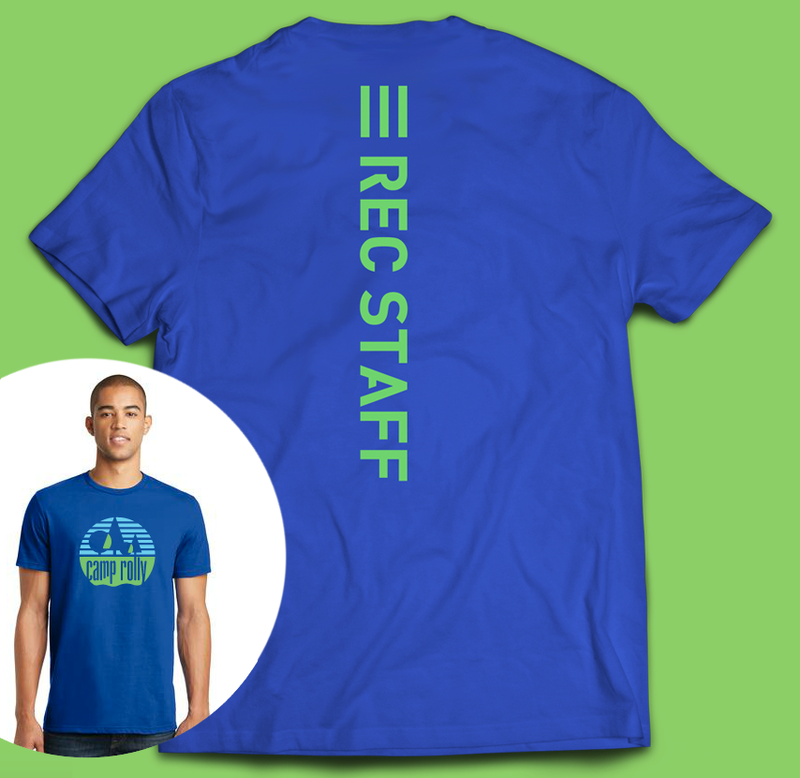 LEGO® is a registered trademark of The LEGO Group. 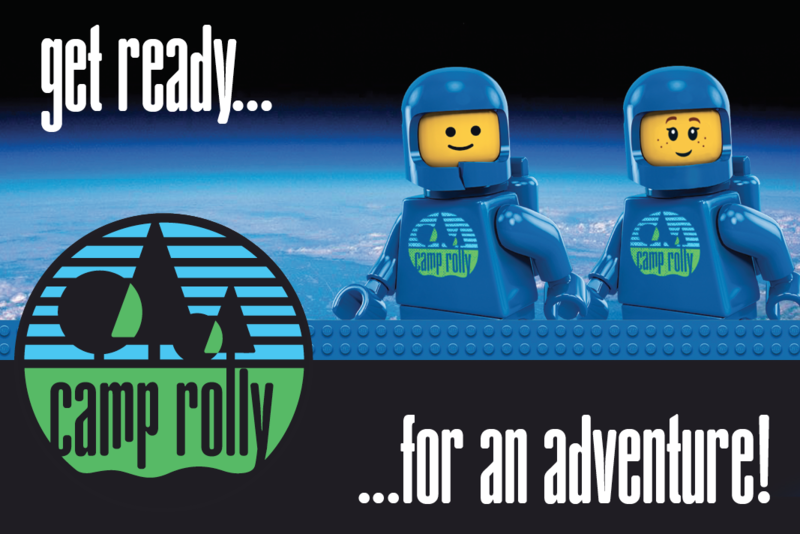 Images of LEGO figures were only used as a fun way to spread the word about the program. 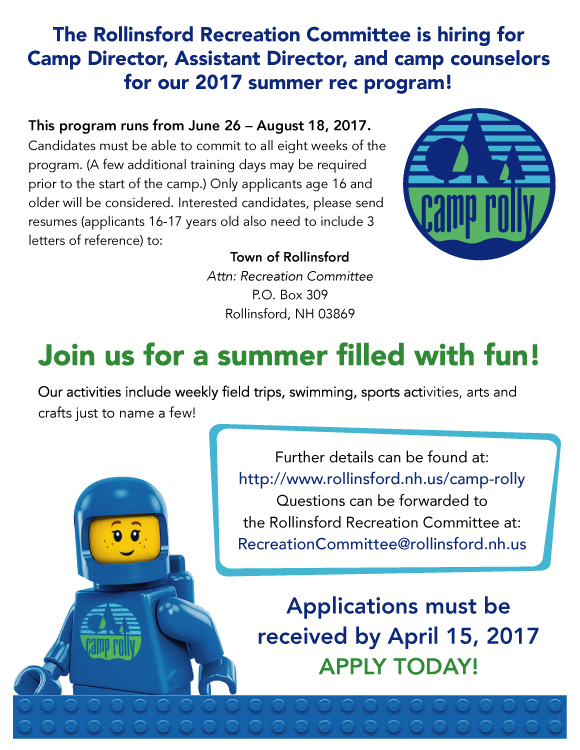 LEGO imagery was not printed on any item that was distributed to campers or sold to the public.